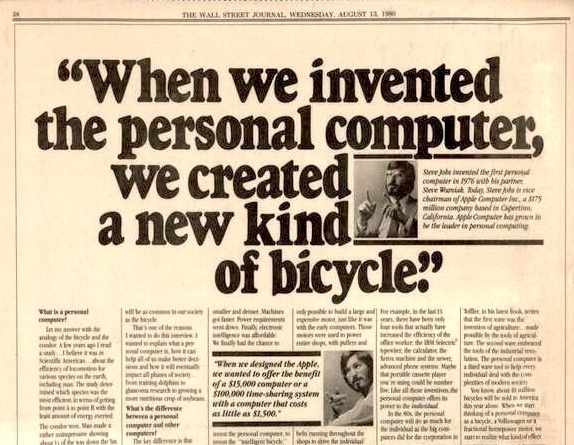 In 1980 Steve Jobs gave an interview to the Wall Street Journal claiming: "When we invented the personal computer, we created a new kind of bicycle”. In the box placed in the middle of the title you can read: “Steve Jobs invented the first personal computer in 1976 with his partner Steve Wozniak”. The interview itself is probably not very well known but it could have been the beginning of a myth that still lives today. We know how the story continues, but let’s focus on the first years. It’s the story of an epic fight between two startups that changed the world, with no other player on the field. Did it go exactly like this? For sure this is not how I remember the ’80s. My parents bought me my first computer in 1983 and it was not an Apple II, it was a Commodore Vic-20. 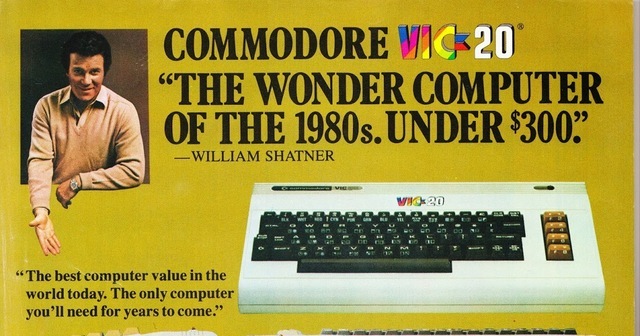 I saw several commercials on TV and printed ads promoting the Vic-20 at the time. 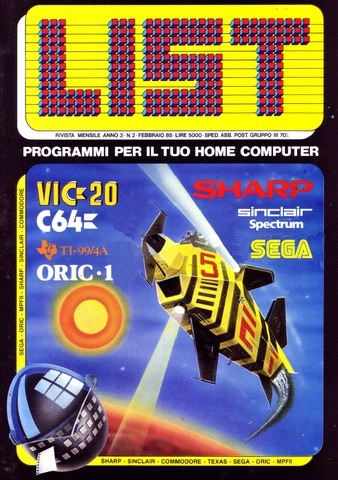 In the newsstands, there were plenty of magazines dedicated to computers, and the majority of them had programming codes or cassettes for the Vic-20, and later, the Commodore 64. Other common (but less popular) brands were Sinclair Spectrum, Texas Instrument, Oric, SEGA. But most importantly, I remember all my friends having a Commodore computer during the ’80s. I mean, literally, all of them. We didn’t have WhatsApp groups at the time, so the only way to have a social life was to physically visit people. Which means every afternoon I was in some friend's house. Trying computer games, exchanging them and talking about them was everyday routine. I can tell you that, as some point, in every house there was an 8-bit computer: Commodore 64, Vic-20, Commodore 16, Commodore 128. I have seen all of them, including the strange Commodore Plus/4. I also remember a colleague of my father showing off his Commodore SX-64 (a sort of notebook). A friend had a ZX Spectrum, but since he wasn’t able to exchange games with us, he convinced his parents to buy a C64. When I changed school, I met a guy with an MSX. Believe it or not, I never met anyone with an Apple II. Of course we are talking about Italy, Apple was stronger in the US. I have never considered my experience statistically relevant, but when, years later, I started reading stories about the Apple II dominating the ’80s and watching movies like Pirates of the Silicon Valley, I wondered if I had lived in some kind of alternative reality. This inconsistency remained unsolved until I read Commodore: A Company on the Edge by Brian Bagnall, a book that, needless to say, I strongly recommend. After reading it, I started searching for other sources and all of them confirmed a surprising fact: the story of the personal computer is different from the one known by the majority of us. Nobody hid the truth, it’s all out there, but it seems that we are still influenced by Steve Jobs’ reality distortion field when we look to what happened during the birth of the personal computer. The interview that appeared in the Wall Street Journal is a clear example. So, let me try to recap a few facts that I hope you will find interesting. The Altair 8080, created by Ed Roberts and released in 1975, is often considered the first personal computer. It was sold in kit, it was not very user friendly and it did not have a screen or keyboard. You needed to enter commands with switches and understand the output checking blinking lights. However, it’s thanks to Ed Roberts if Microsoft exists: Bill Gates and Paul Allen started their career writing a BASIC language interpreter for the Altair 8080. The same year the Altair was released, in 1975, an engineer called Chuck Peddle, with his team at MOS Technology, created a microprocessor called 6502. It was cheaper and more powerful than the ones existing at the time. It was not meant to be a CPU, but it ended up shaping the history of personal computers. MOS did not just produce the 6502, they also created other components and assembled a kit for hobbyists called KIM-1. With this kit you could create a fully working computer, with keyboard, led display and tape interface. You could say it was the Raspberry PI or the Arduino of the ’70s. Peddle wrote a very detailed documentation to help hobbyists. It was definitely easier to use compared to the Altair. 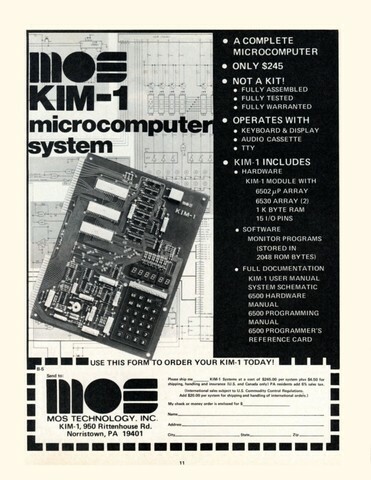 MOS Technology sold around 7000 KIM-1 computers in total. Peddle helped anyone with an interest in developing for the 6502, including two kids working out of one of their parents’ garage. “While we were out visiting Atari, my west coast manager said, - Hey, there’s some kids working on a machine in his garage and it’s not working. We have a development system with us, so why don’t we go over and help them?" Wozniak and Jobs eventually completed their computer built around the 6502 chip. The Apple I was presented in 1976, but it didn’t go very well, they sold less than 200 Apple I (much less than the KIM-1). In 1976, MOS Technology was acquired by Commodore. Chuck Peddle was still not happy with the KIM, he wanted to create a fully assembled computer, so he designed the Personal Electronic Transactor (PET). Announced in January 1977, the Commodore PET had a built-in 9-inch monitor, keyboard, cassette unit and 4KB of RAM. Bill Gates developed a special version of his BASIC language for the PET, following the requests of Peddle, including support for the graphics characters (PETSCII). The all-in-one concept was revolutionary and it was the most user friendly computer ever created. Later, in 1982, Byte referred to the PET as the world’s first personal computer, this would make Peddle the inventor of the personal computer. 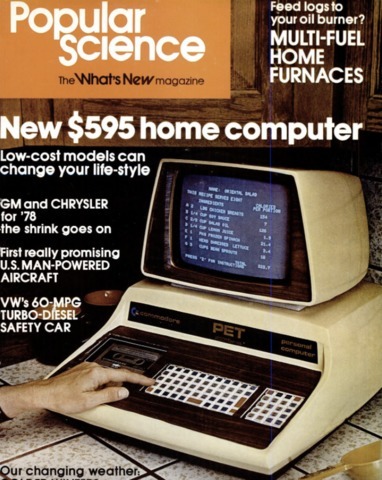 The PET was not the only computer released in 1977. Apple Computers released the Apple II, while Tandy (Radio Shack) introduced the TRS-80. These 3 machines are known as the 1977 Trinity. Two of them were based on the 6502 chip created by Peddle. The Apple II has the status of “legendary computer”, but the reality is the 1977 Apple II had several flaws: it didn’t have lower case characters, it lacked cursor keys, it didn’t have floating point BASIC and it didn’t have a TV output. But you might think it was cheaper than the PET. Wrong, Apple was asking $1,298 for its computer (while the PET price was $595), and it didn’t even include a monitor or cassette unit. 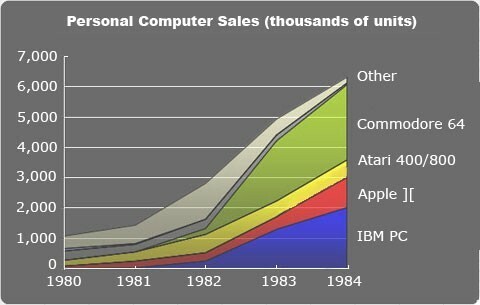 It’s no surprise that the Apple II was third in terms of sales, compared the to rest of the trinity. Wozniak was right on one thing: computers need to have colors. He designed his machines with colors from the beginning because he knew people would have played games on them. 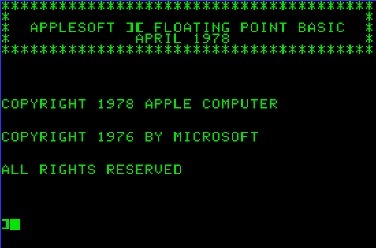 In 1979 Commodore was still selling the PET while Apple launched the Apple II+, an improved version that finally shipped with the floating point BASIC created by Bill Gates. This made Apple the best choice for game developers. Jordan Mechner (author of Prince of Persia) started programming on the Apple II. 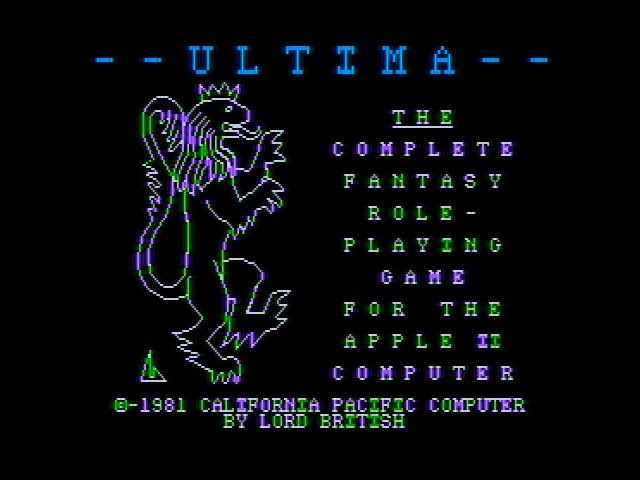 The Ultima series, Might & Magic, Wizardry, all started on this platform. No surprise that in 1981 the Apple II sold 210,000 units, more than the PET. Instead of trying to create an “Apple killer”, Commodore CEO Jack Tramiel decided to create a low end computer (influenced by the success of Sinclair in the UK). The Vic-20 was still using the 6502 chip, it had colors and sound (thanks to the new VIC video chip) but it had only 22 columns display. The available RAM was just 3.5K. I still can’t believe my first computer was so crappy, anyway it was a success. 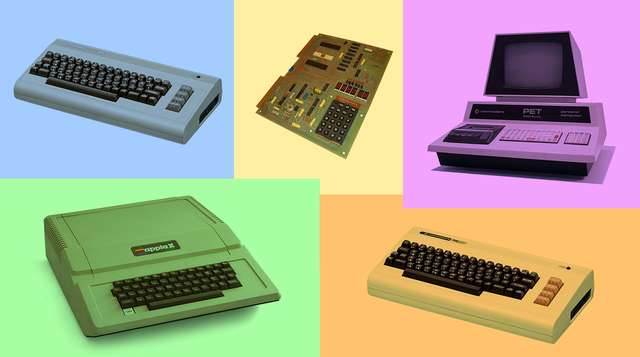 The Vic-20 is the first computer to sell more than 1 million units. In 1982, the Vic-20 was the best-selling computer of the year, with 800,000 machines sold, leaving the Apple II in the dust. The Commodore 64, released in 1982, is so important that it would deserve a dedicated article. For now it’s enough to say that this amazing 8-bit computer dominated the market during most of the ’80s. Superior graphics and sound, 64K of RAM, multi-color sprites (ideal for gaming) and low price made the C64 the best selling single computer model of all time, according to the Guinness Book of World Records. The 1984, the year of the launch of the Macintosh with the famous Super Bowl commercial, was actually the year of the Commodore 64. The 8-bit computer made by Commodore sold 2.6 million units in 1984, much more than the Apple II and more than the IBM-PC, killing all other competition. The C64 continued selling between 1.3 and 1.6 million a year for the rest of the ’80s reaching an estimated total of 12.4 million units. The truth is the Commodore 64 was the only force able to stop and delay the rise of the IBM-PC. As we know the IBM-PC ended up dominating the world, but the C64 was still selling well during the ‘80s. All of this doesn’t change the fact that Steve Wozniak was a great engineer while Steve Jobs was an amazing innovator, a marketing genius and a brilliant product designer. There’s a reason if Apple is now one of the top companies in the world while Commodore is dead. But this doesn’t mean we have to change history and forget the people who made it. Commodore played an important role in the way computers have evolved. Next time you switch on your PC or your Mac, think about Chuck Peddle, the 6502 chip, the PET and the C64.